It is surprising how much paper clutter we can accumulate in our homes and if we aren’t organized or quick enough, it can quickly take over and become a nightmare to try to reorganize into something that works for you and your family. Sometimes, paper starts to take over when a system that was in place starts to fail, this isn’t necessarily something wrong, if your circumstances have changed and what once worked is no longer the best option for you; and this is fine, just find a new system that works with your change. Paper clutter is all the paper that comes into your home, from the junk mail to the important bills that need paying or personal correspondence. How it comes into your home will depend on the people living there, sometimes it is artwork or letters from school, information you picked up when you went shopping, and it is surprising how quickly these items of paper can quickly take over our homes. Taking control of the paper that comes into our homes is important; it creates a system that allows you to take control. If you need an important piece of information, you will know where and how to find it, you won’t need to empty out every drawer or cupboard in your home to find this one piece of paper, you will automatically know where to look to find it. 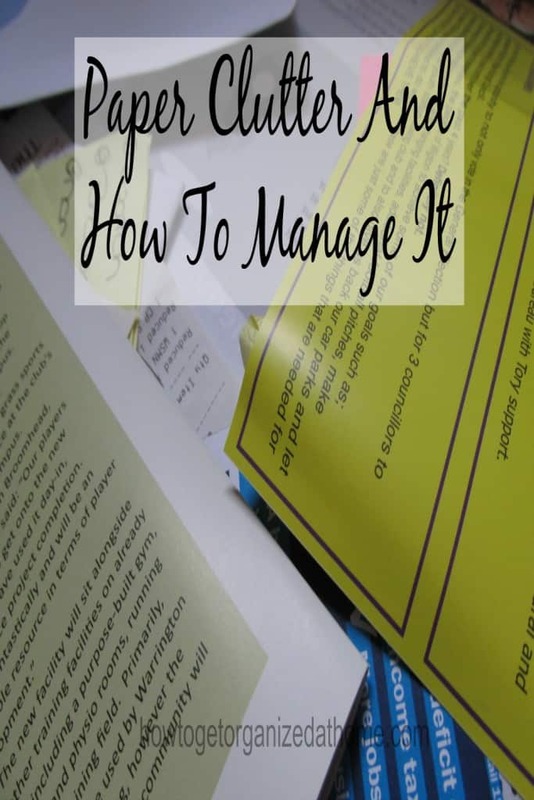 Creating a filling system that works for you to organize paper clutter is key, it is not about one system that fits all, this doesn’t work; you need to find a way that works for you and your family. I am not one that will ever suggest you run out and buy a new storage system because I know that these often fail at the first hurdle. You have to find something that works and it doesn’t mean spending money, it means organizing your current system to fit your needs. It might need a complete overhaul, alternatively you might just need to tweak a few details and it will work fine. Remember sorting paper can take time, spread this task out over multiple days, it might be a work in progress for longer, as long as you are making some progress then you are moving forward. Don’t empty cupboards thinking it will take a short time, paperwork is time-consuming, so deal with it a handful at a time. Bin pile: I make fire bricks out of my paper rubbish and it protects my identity too. If you don’t burn your paper like me, make sure that you shred items so your details have less chance of being stolen. A file pile: this contains all the paper that you want to keep but are current items. An archive pile: this is for older items that you have to keep, but you don’t need access too. Don’t have too much in each of these piles in any one go, sort them as soon as you have one or two items. If you don’t have time to file daily, having the paper sorted and ready for filing is time-saving. You don’t need a separate file for every item that you need to keep, try keeping similar things together to make it easier and simpler for you. It is not always possible to get on top of old paperwork straight away, however, it doesn’t mean that new paper you have coming in needs adding to the paper clutter, start the sorting process and work out a system that allows you to deal with the new paper clutter entering your home. Don’t let the problem get any worse; put in place something you can work with. My system for the paper clutter is to open it and give it a glance over, I then place on my husband’s desk for him to read before it gets sorted in to the appropriate place. Remember though if something stops working then change the system, don’t go out and buy a new system, this is often an unnecessary expense, as you won’t know if the new system is even going to work. Therefore, dealing with paper clutter isn’t a nightmare if you have a system in place that is working for you and meeting your paper needs. Don’t wallow in paper, try to find the system that helps you. It mightn’t be the first one you try, but keep going you will find a system that is right for you and your needs. 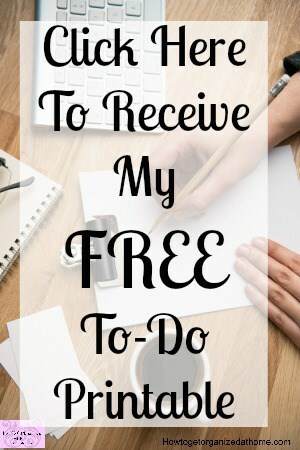 If you are looking for more articles on this topic, head over to the landing page where you will find links to other post on organizing paperwork. Paper clutter is the #1 enemy in my home! It is something I do not like to tackle and feel guilty when I put it off until it is overwhelming. I do need a better system. Thank you for the encouragement today. Great suggestions! I feel like I finally have a system that works for me. Visiting from the Equipping Godly Women link-up. I have a shred pile and a trashcan. So much of my paper has only my address (readily available on-line) on it, so it’s not worth the time and trouble of shredding. I only shred paper with more info than just address on it. So happy you shared at #HomeMattersParty! I am looking at some paper clutter that I had no idea how to organize. I now have an idea of what to do with it and will work on it this weekend. I felt unwell this week and lost a bit of track. I am getting things right before Monday though. Our table used to be a mess because of me. I am slowly getting there though. My husband made me a shutter mail sorter–LOVE it and it helps a lot!